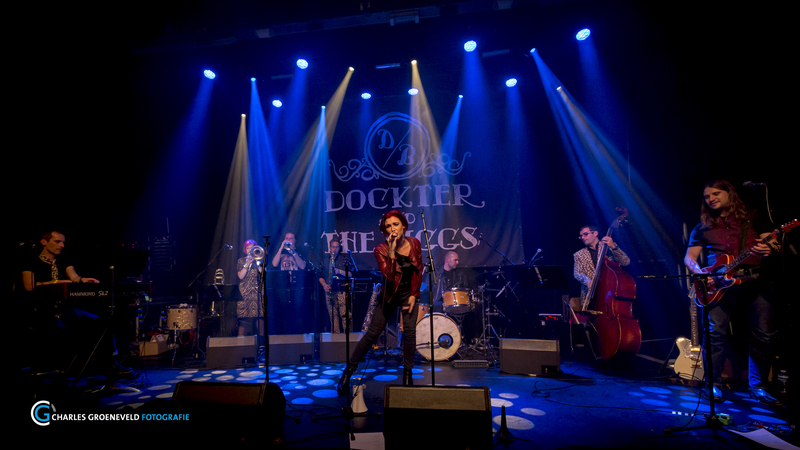 Anne Dockter (trombone, arranger,composer) and Charlie Biggs (trumpet, arranger, composer and former member of the Brian Setzer Orchestra) have combined their powers to create a unique Band called Dockter and the Biggs. Their personal performance experiences includes live performances at the Grammy Awards, multiple MTV Video Award shows, VH1 specials and numerous TV performances both in the USA and Europe. They collected an extremely talented and diverse group of international musicians, each bringing their own speciality and uniqueness to the group. Their original music will make you dance, sing along and jump with joy, as well as their versions of the greatest hits through the centuries put in a totally new and exciting way. Think of rockabilly, surf, swing, reggae and ska all played by the best musicians around on a hard rocking guitar, driving drums, old-school Hammond organ, upright bass and a smoking horn section. Top it of with an amazing singer and you have a totally rocking experience.